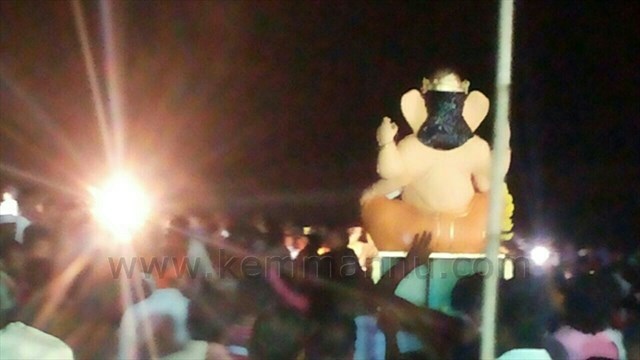 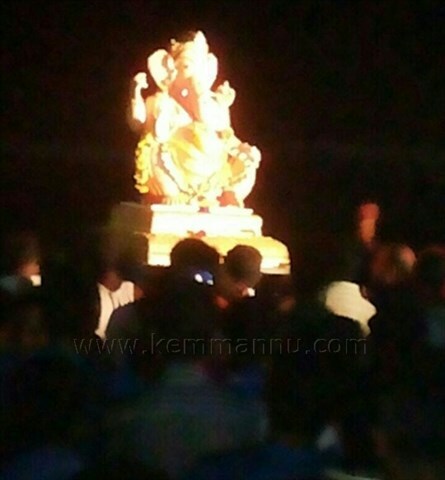 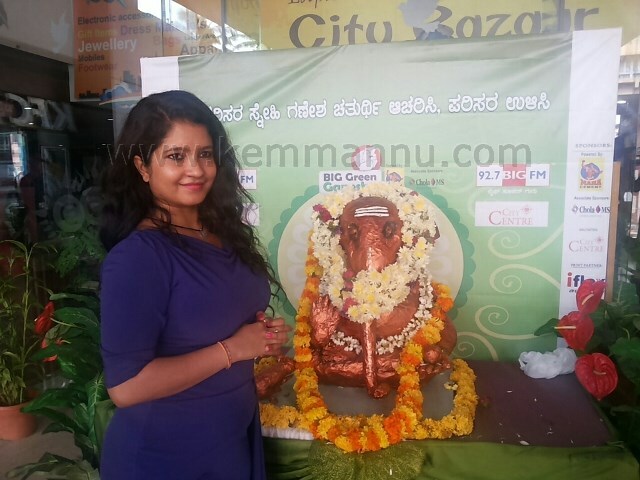 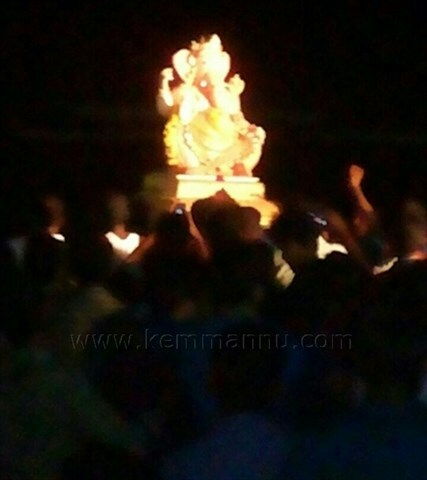 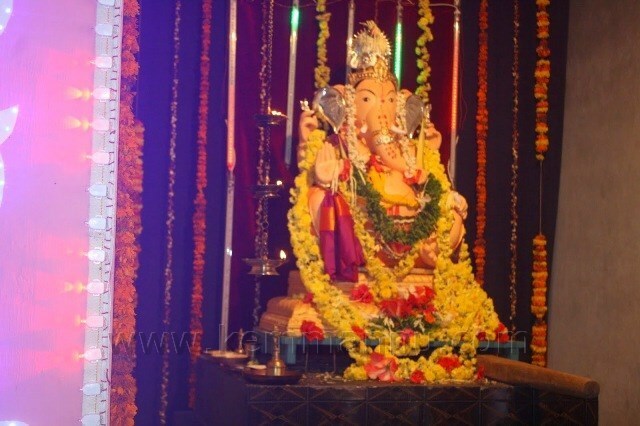 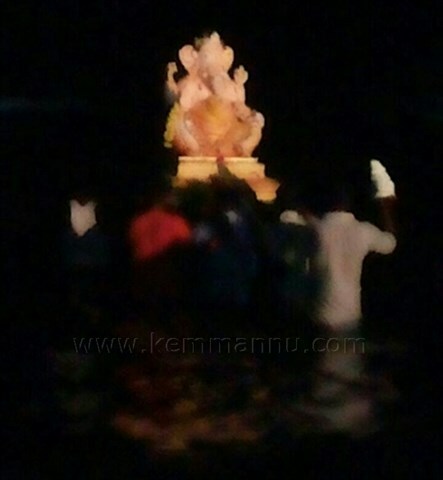 Kemmannu.com | Thonse Sarvajanika Ganesha Idol immersed. 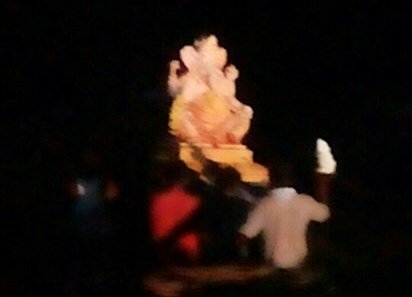 Thonse Sarvajanika Ganesha Idol immersed. 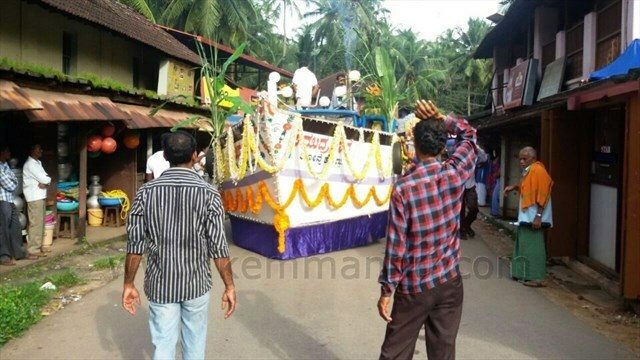 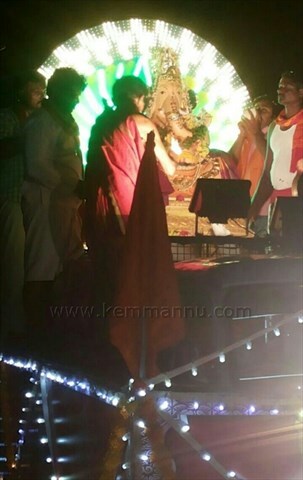 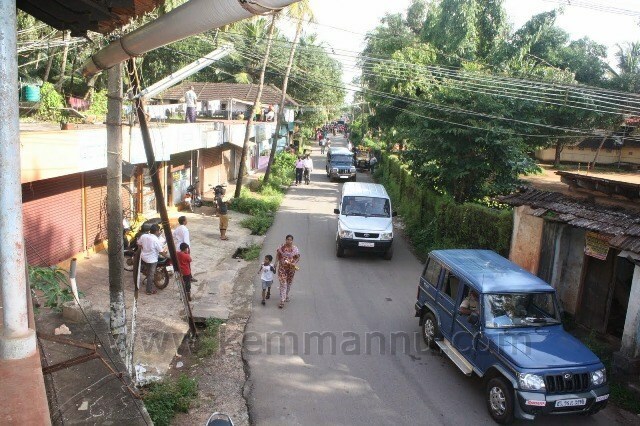 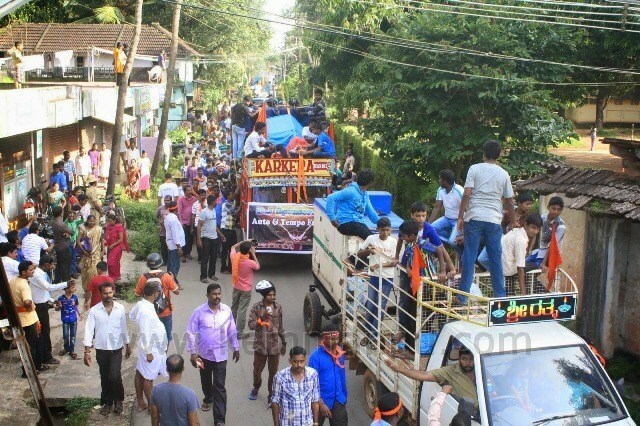 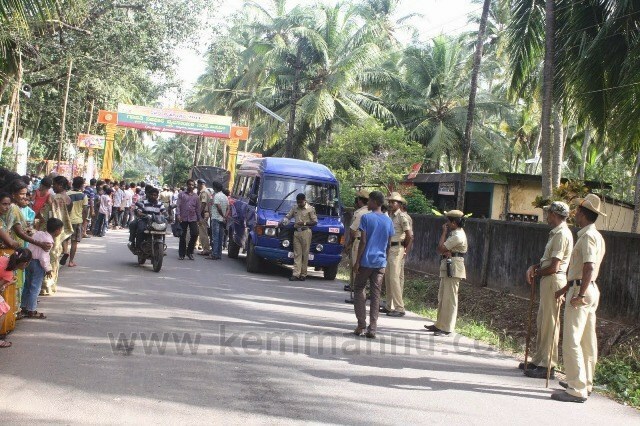 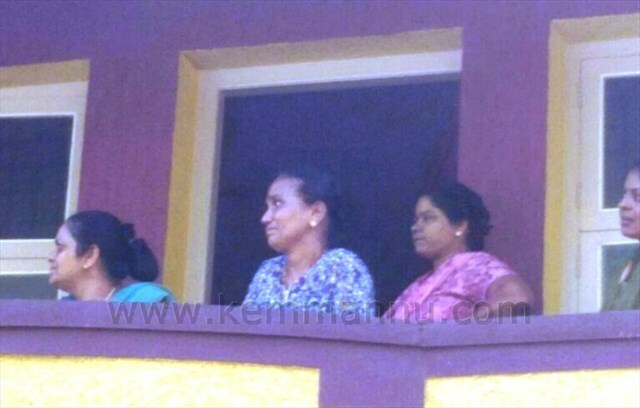 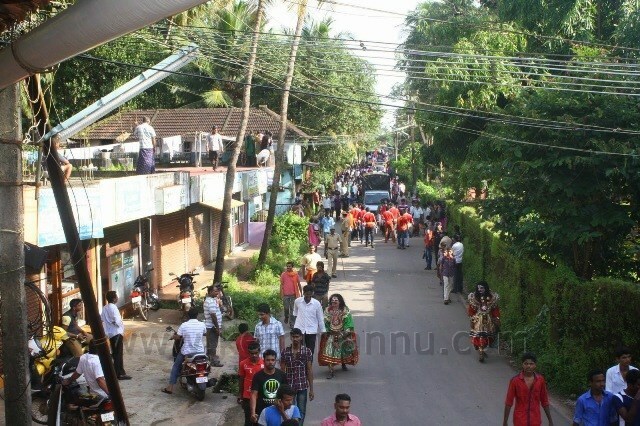 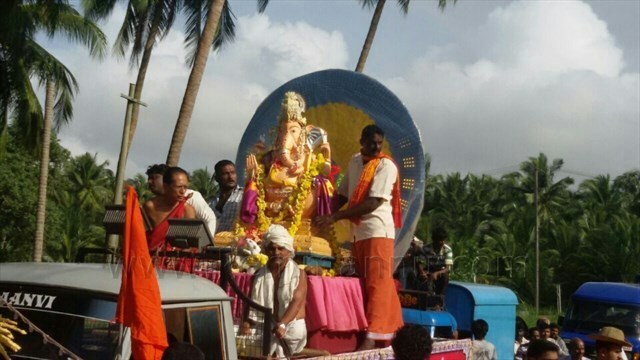 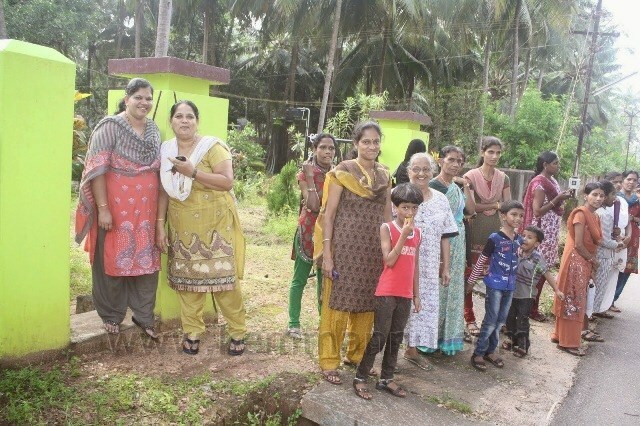 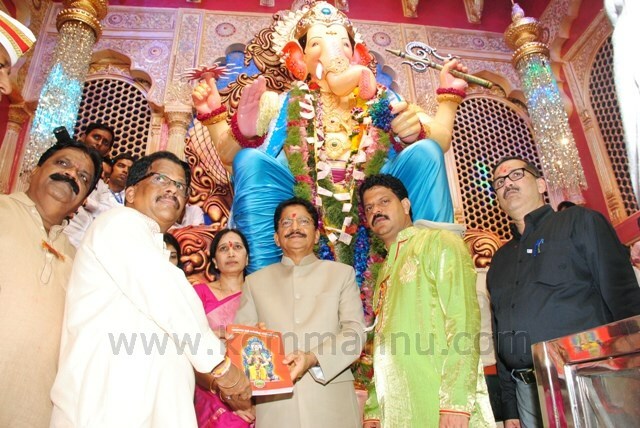 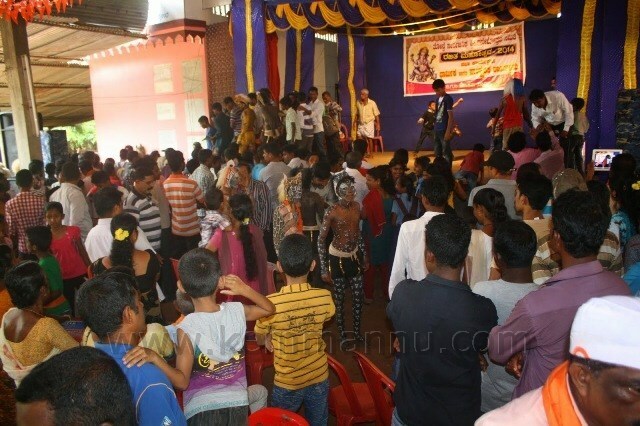 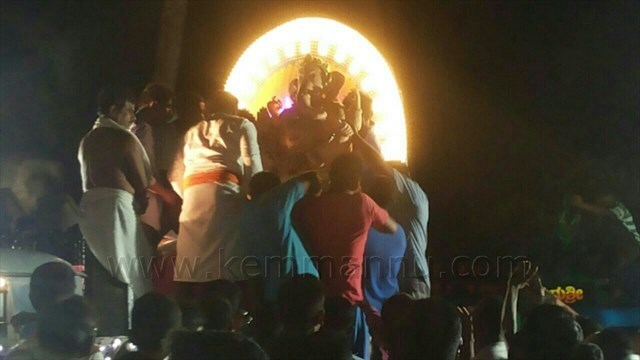 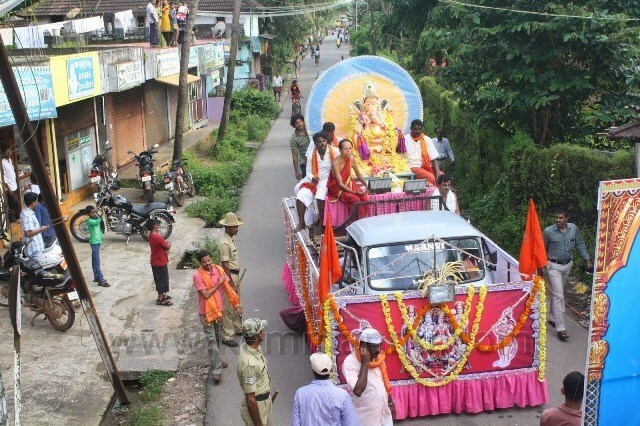 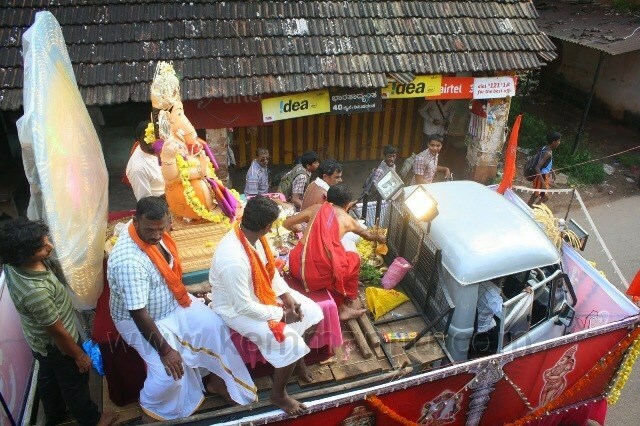 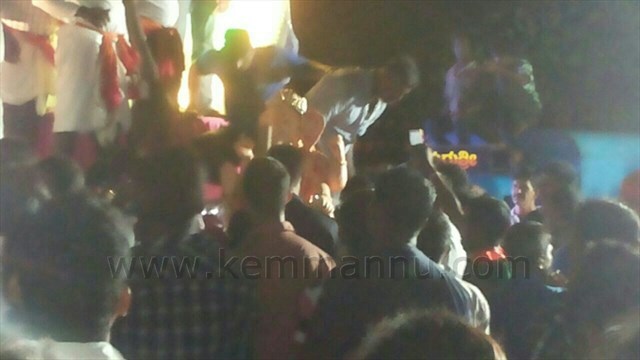 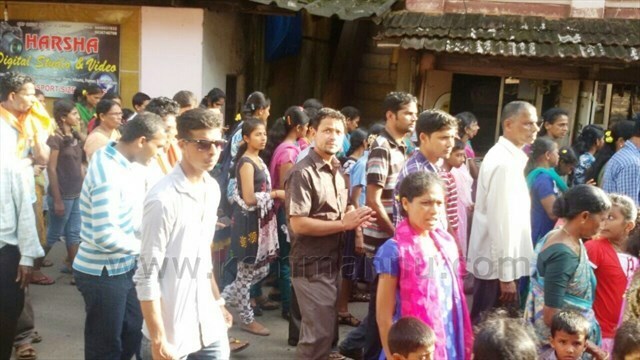 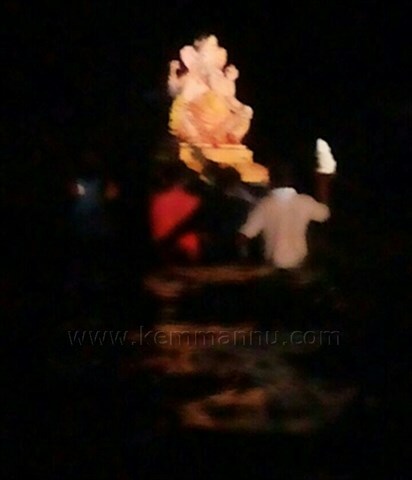 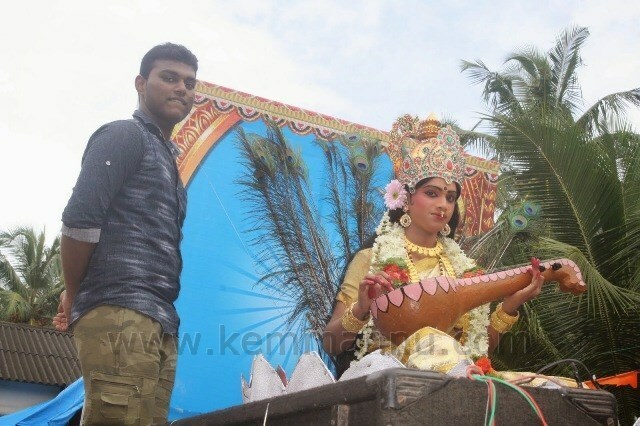 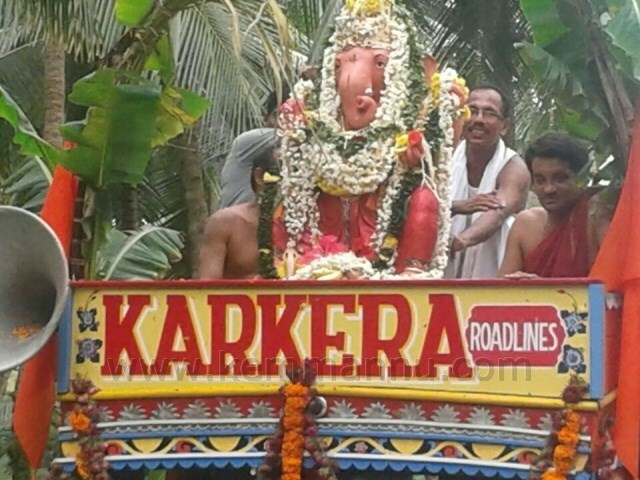 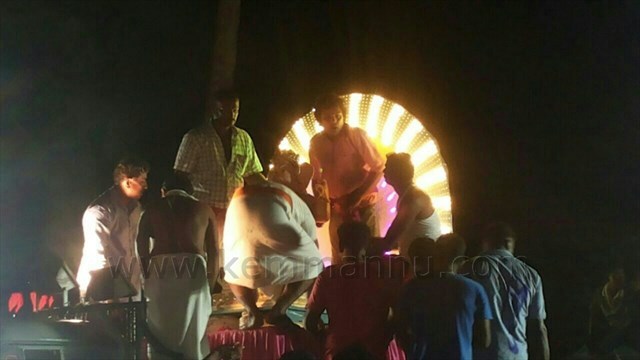 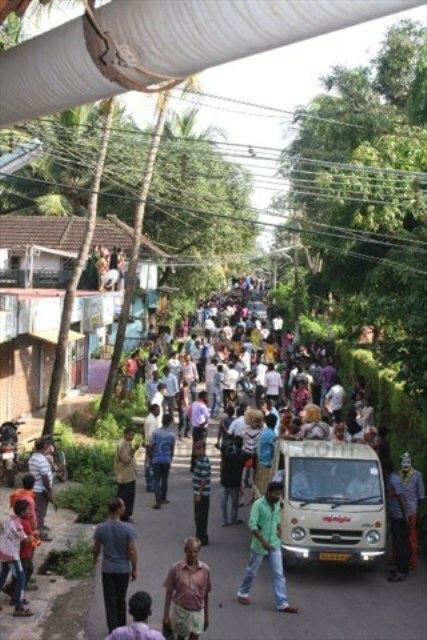 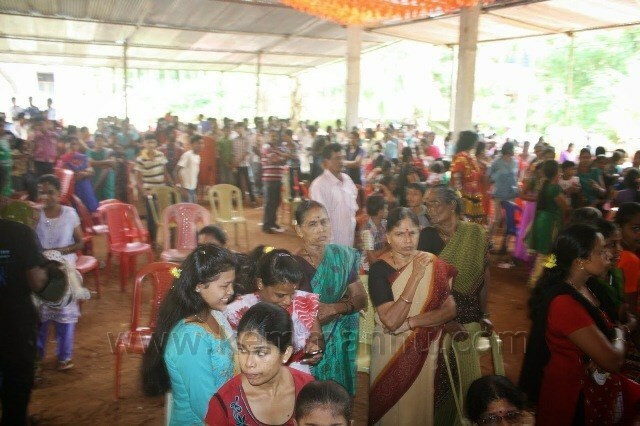 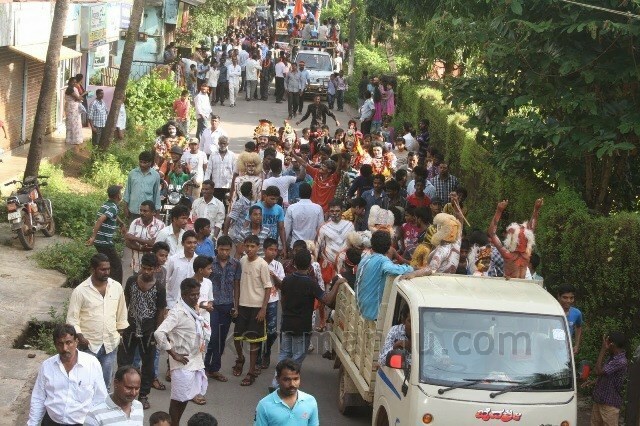 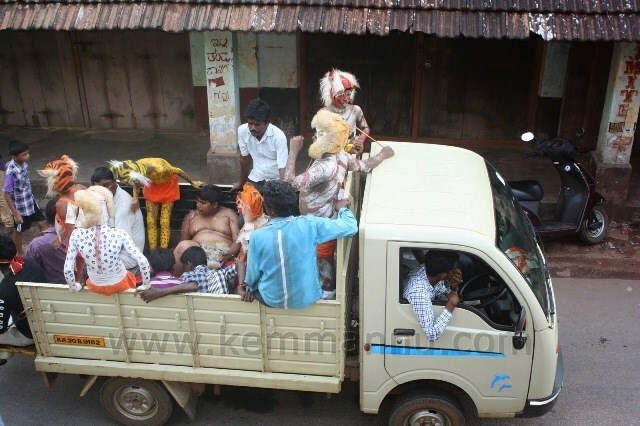 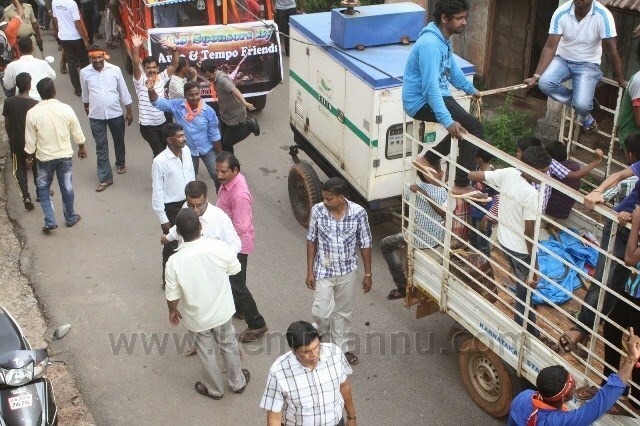 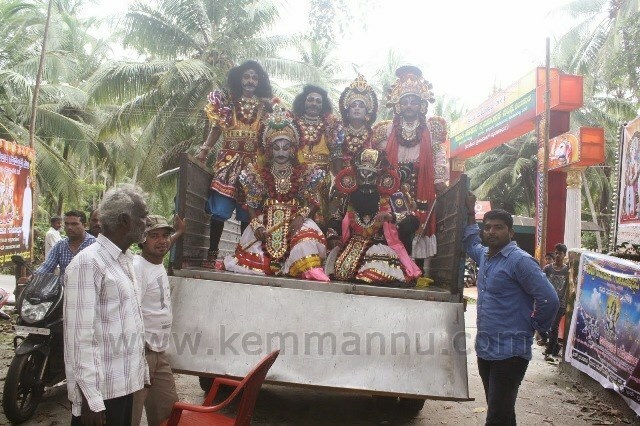 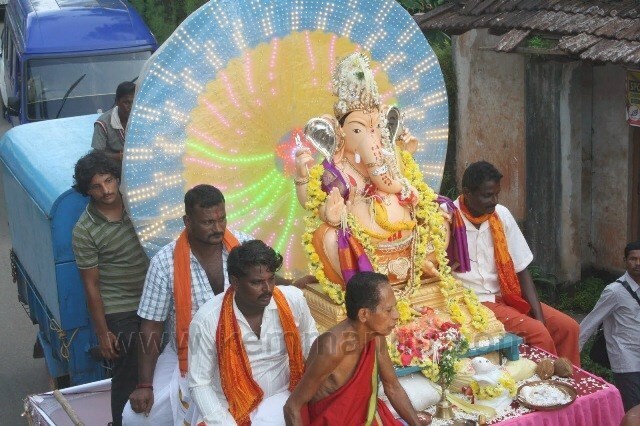 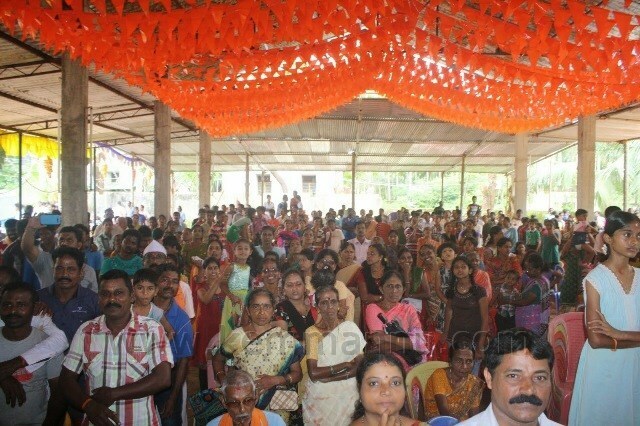 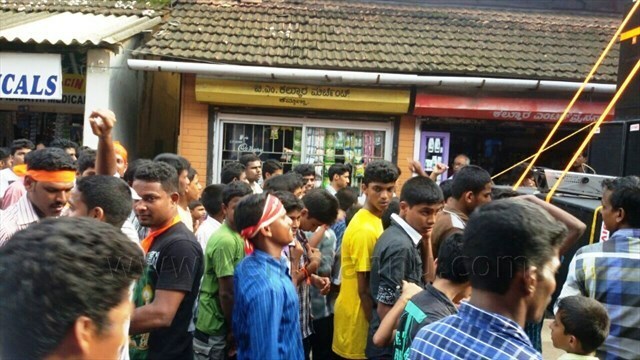 Kemmannu, September 02: The Five days Ganesh Festivities in Kemmannu ended with the immersion of Ganesh idol in the Arabian Sea. 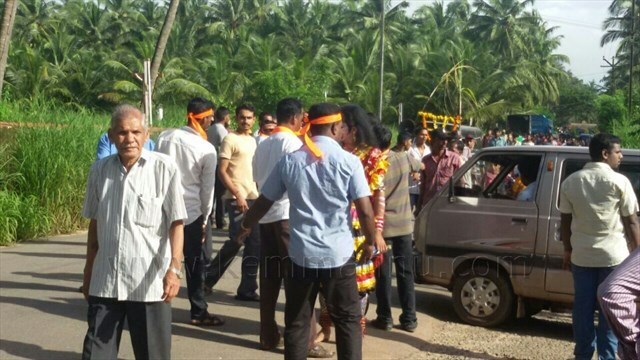 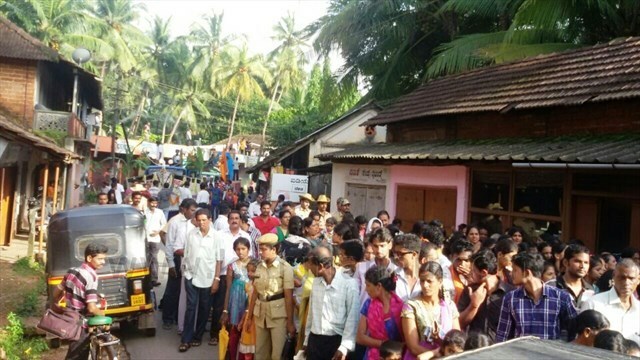 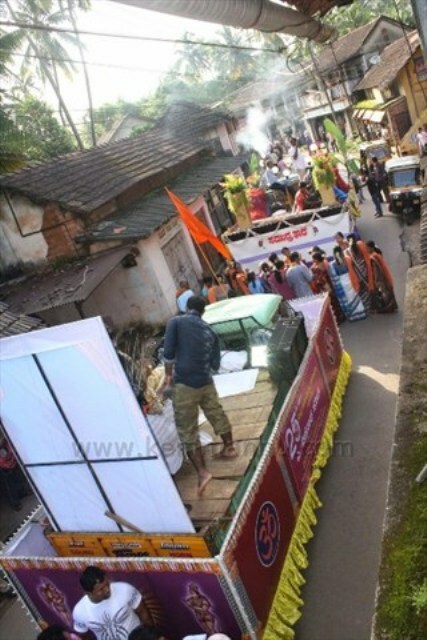 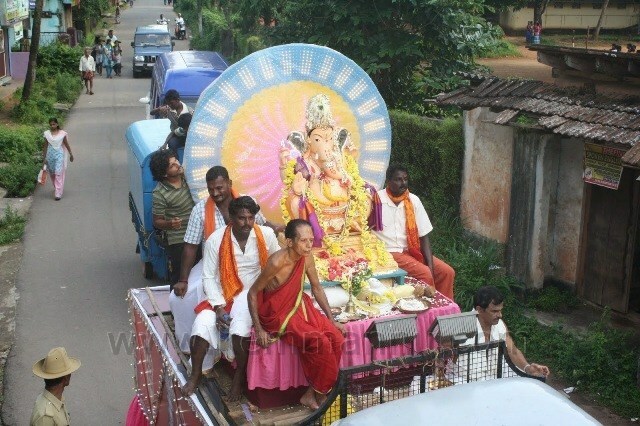 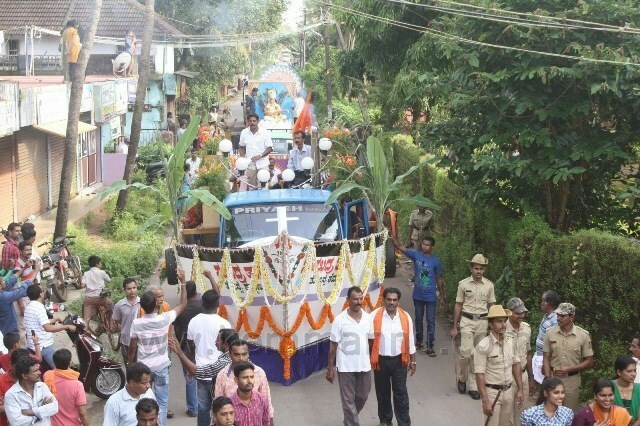 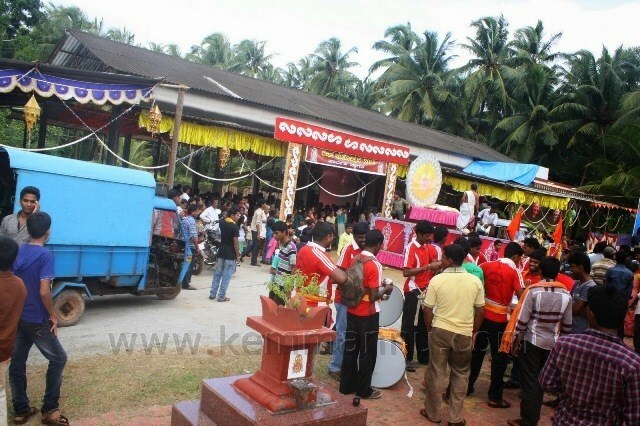 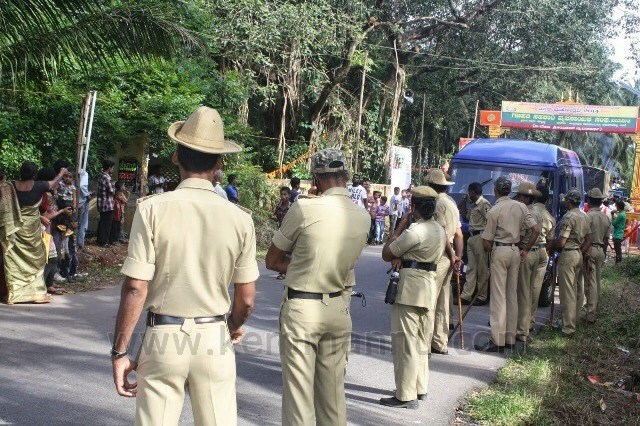 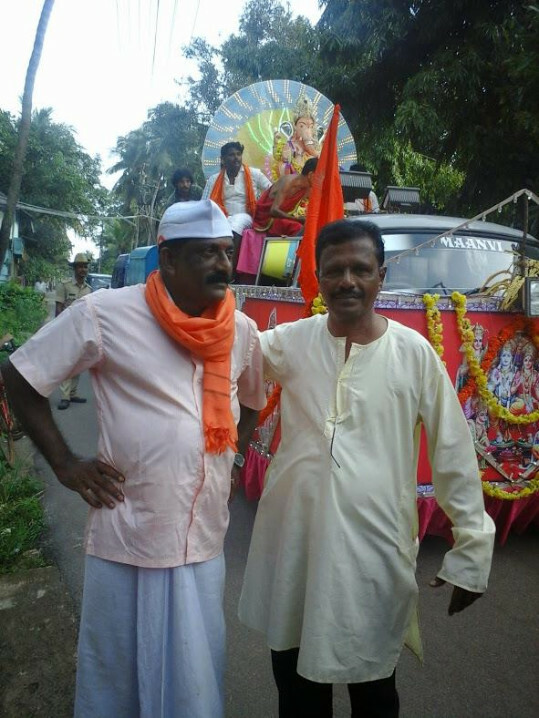 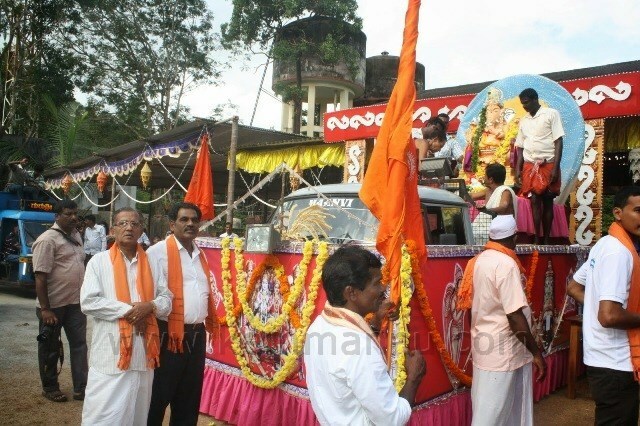 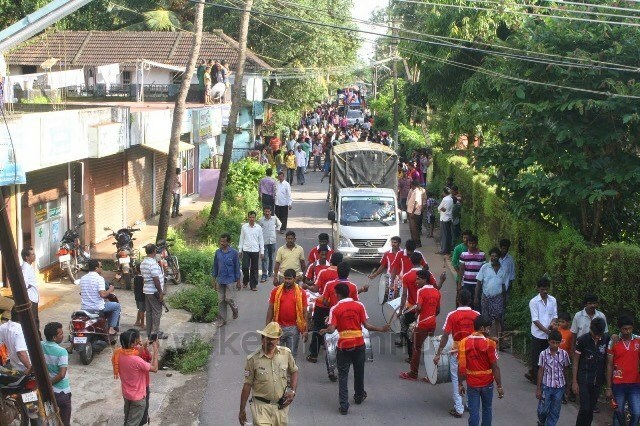 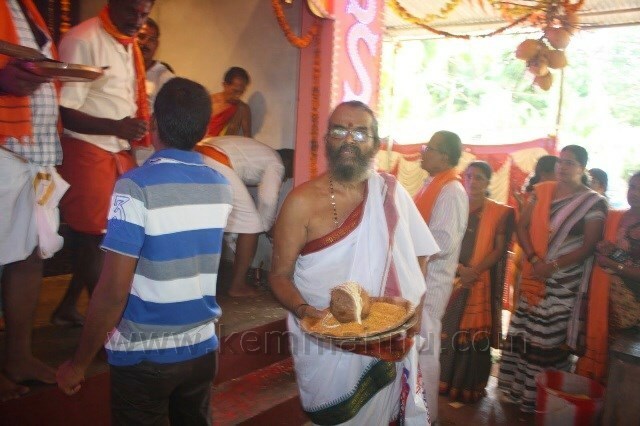 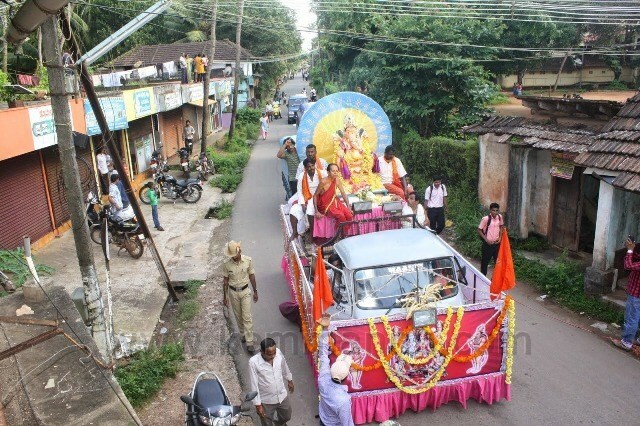 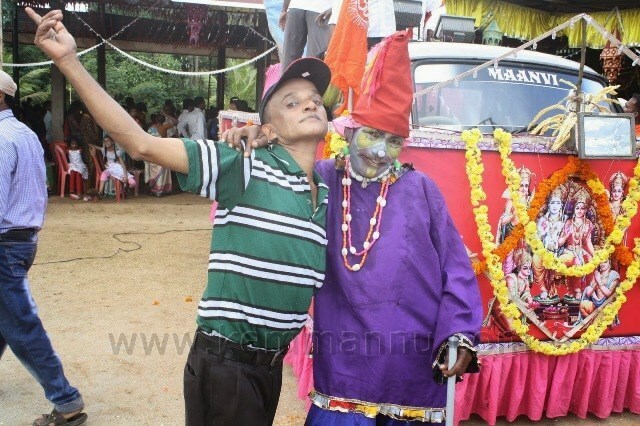 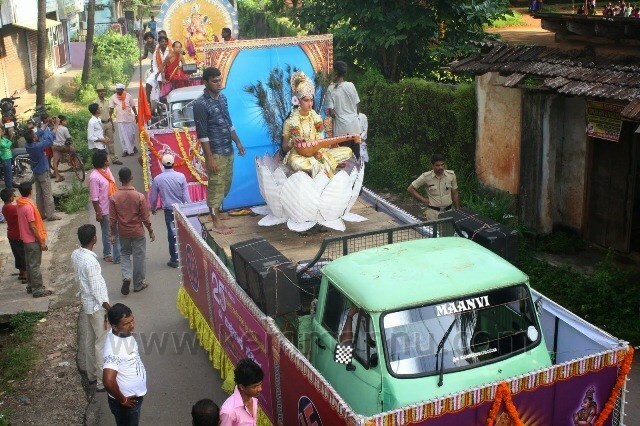 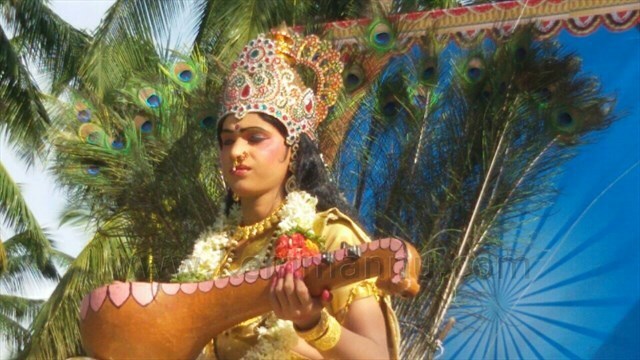 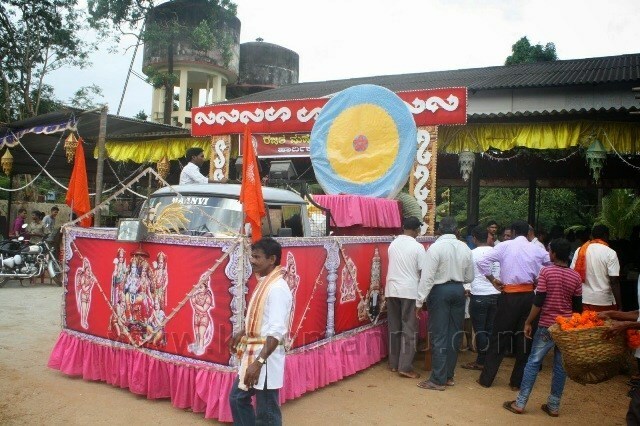 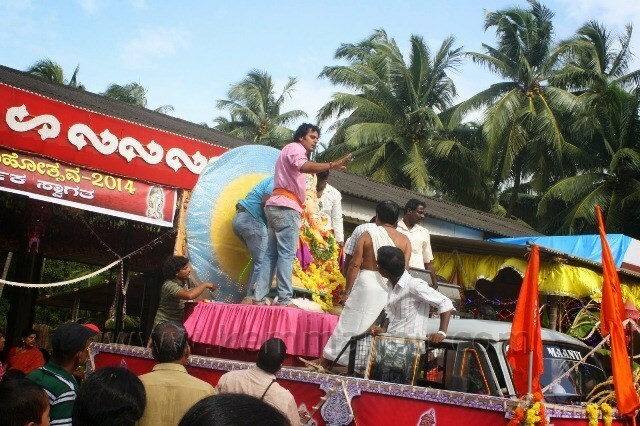 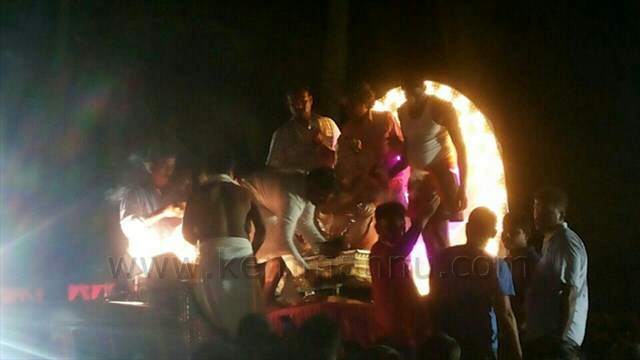 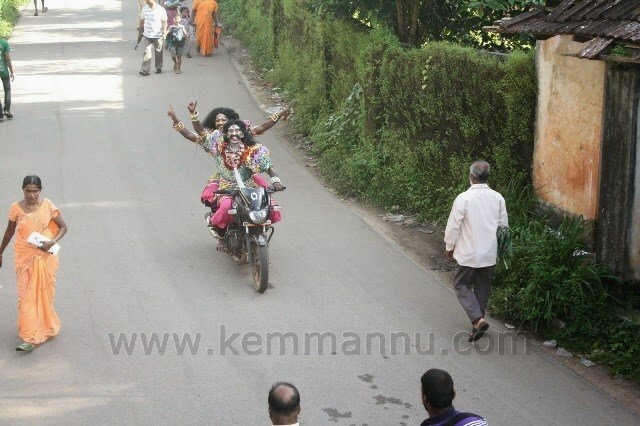 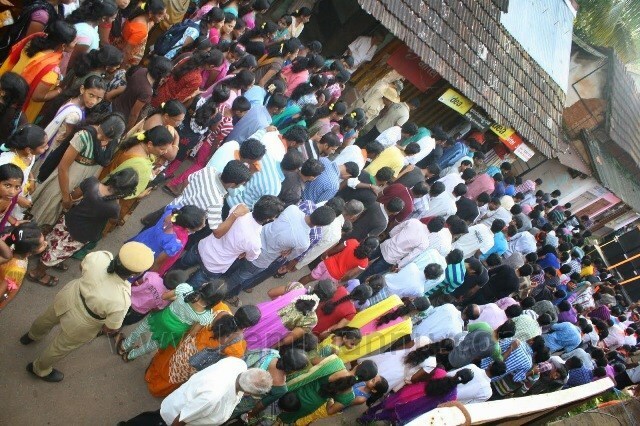 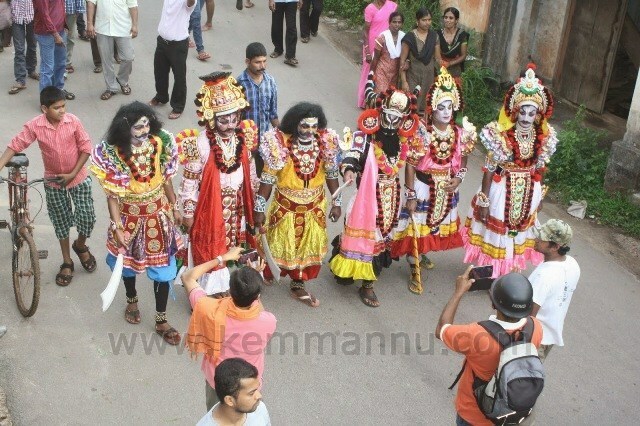 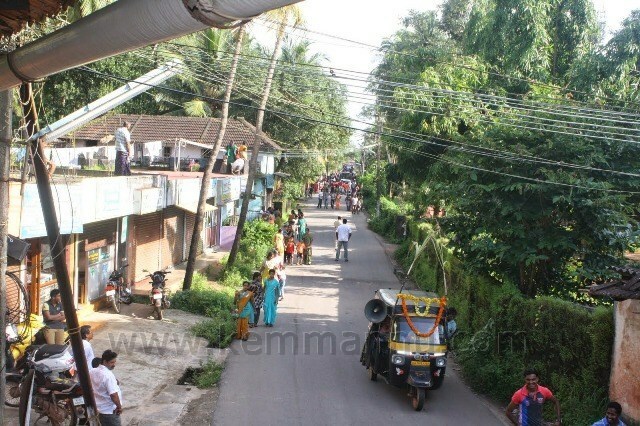 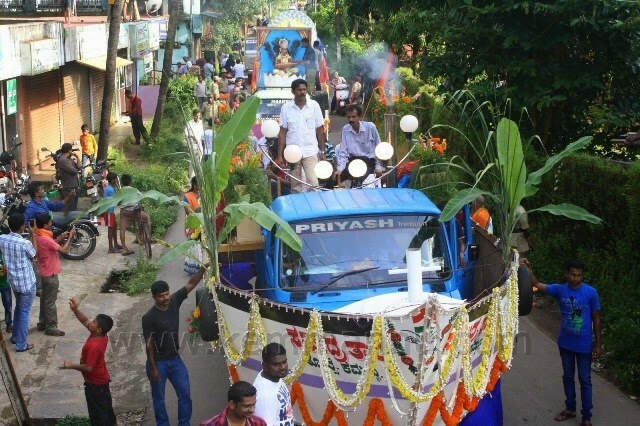 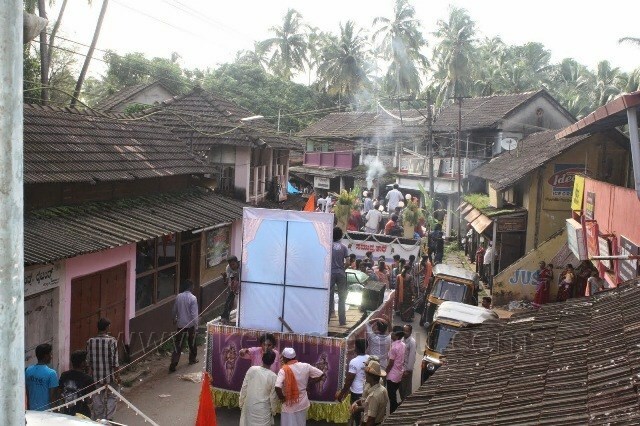 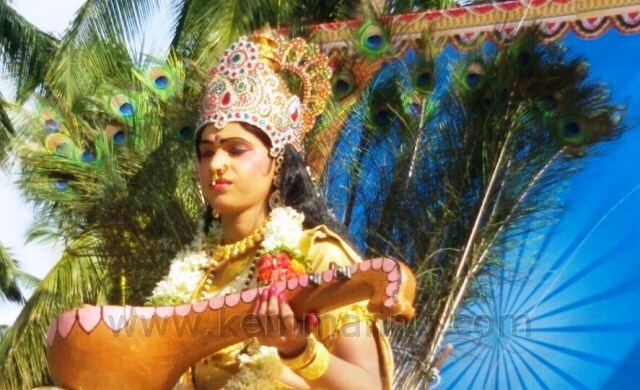 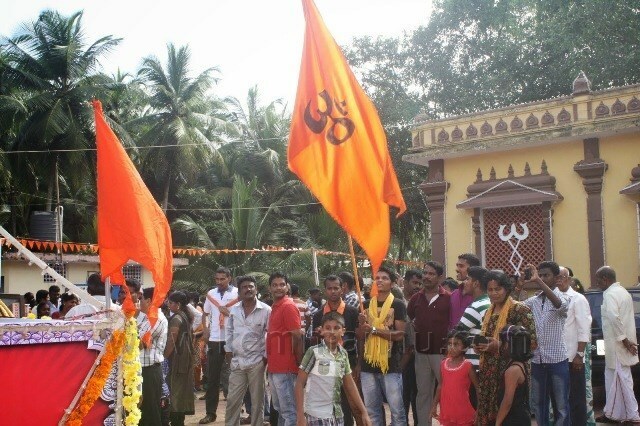 The immersion procession began at the Bhadrakali Temple premises where the idol was installed. 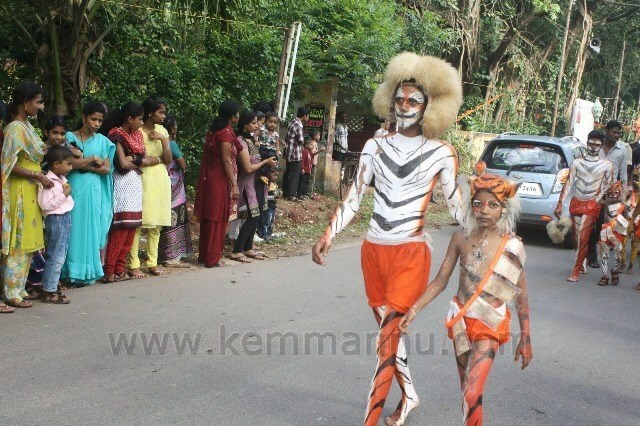 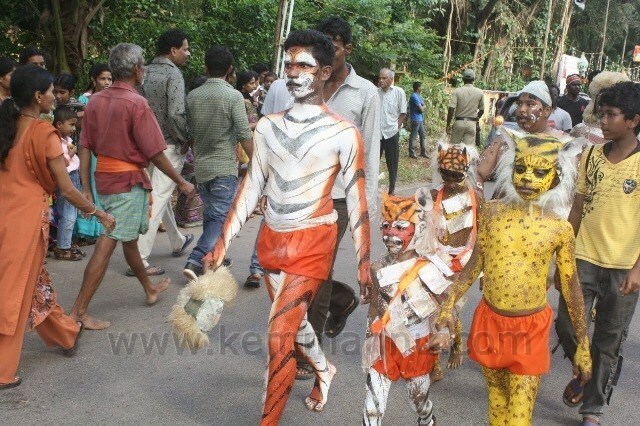 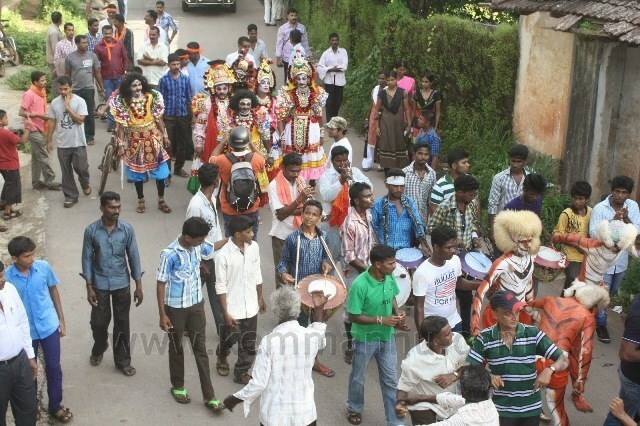 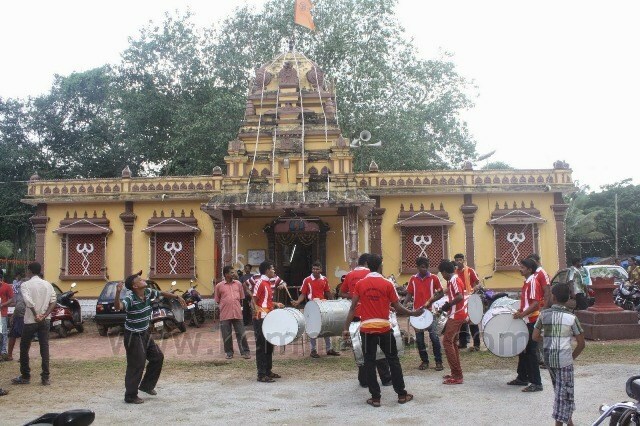 The colorful procession joined by devotees and residents included tablos and dancers including the popular Tiger Dance. 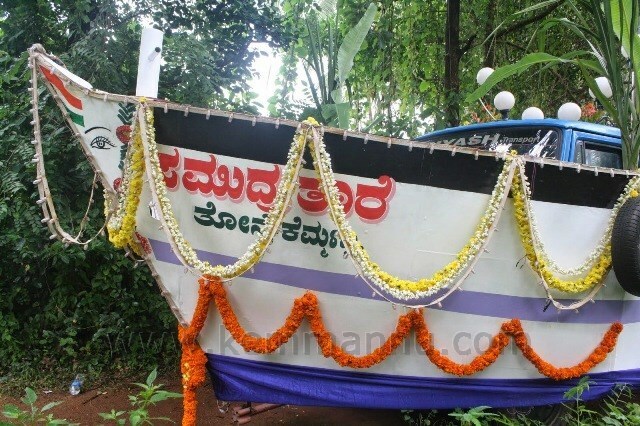 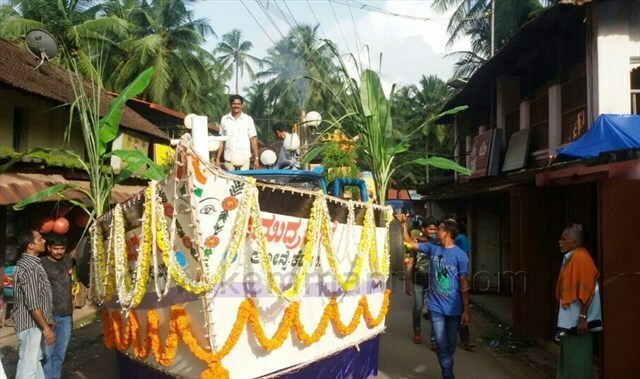 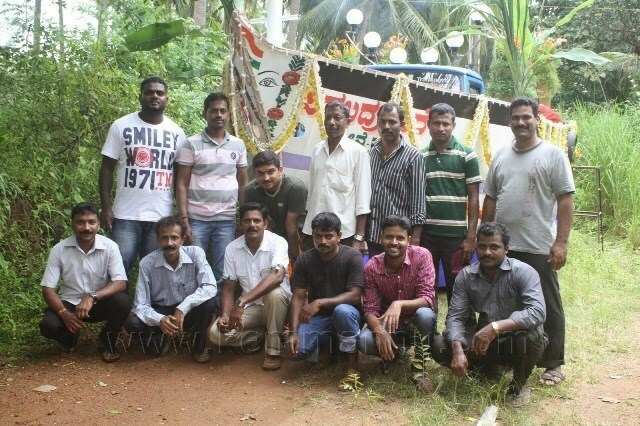 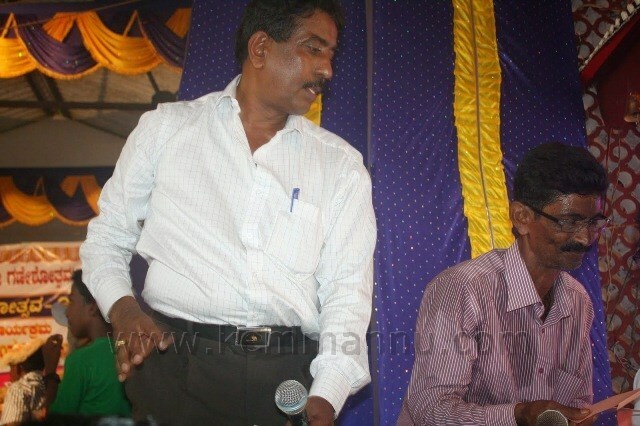 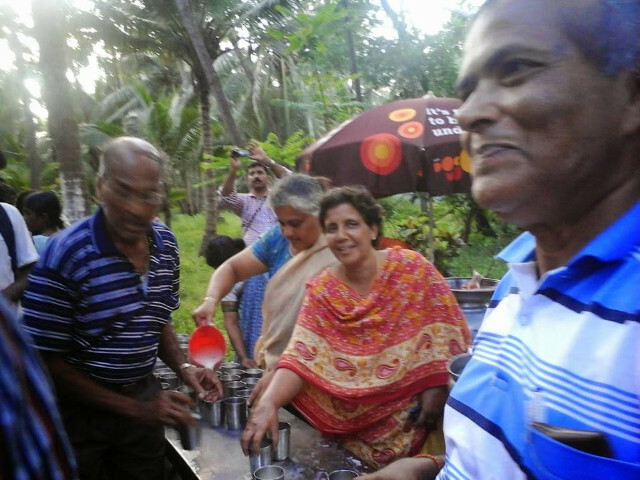 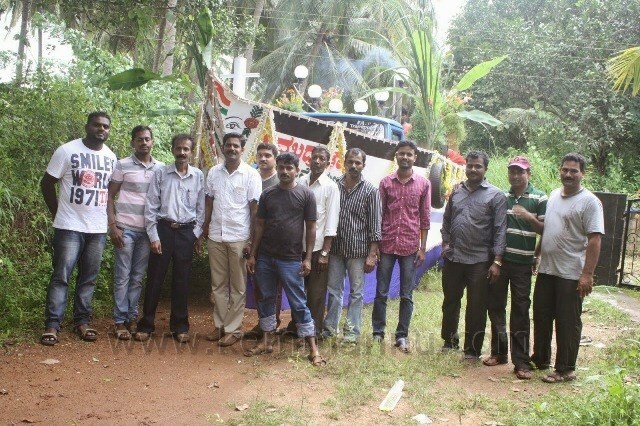 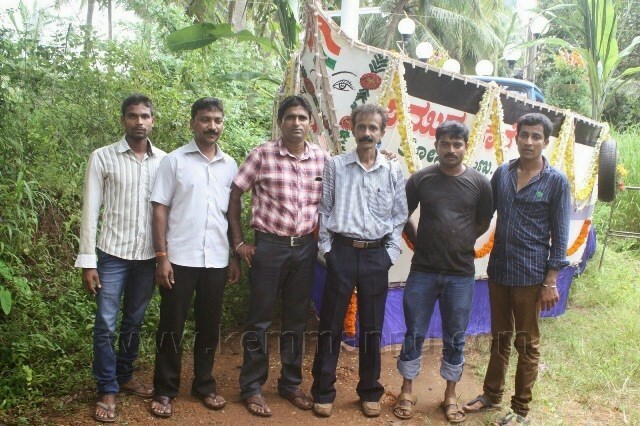 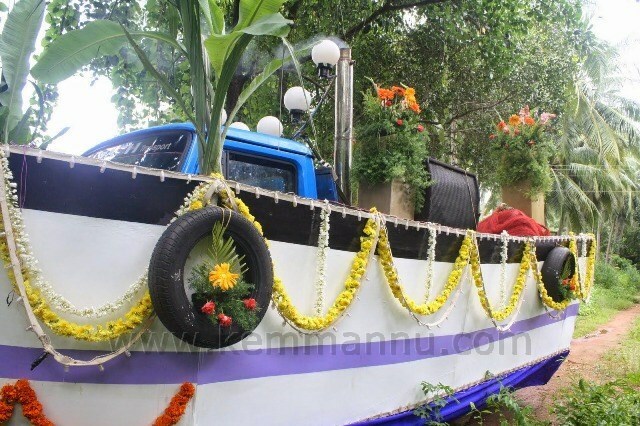 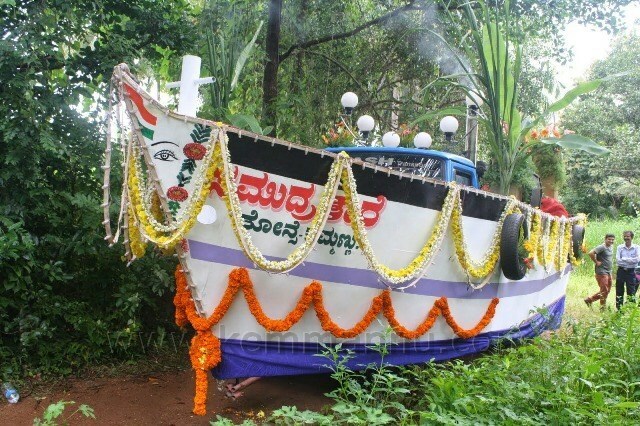 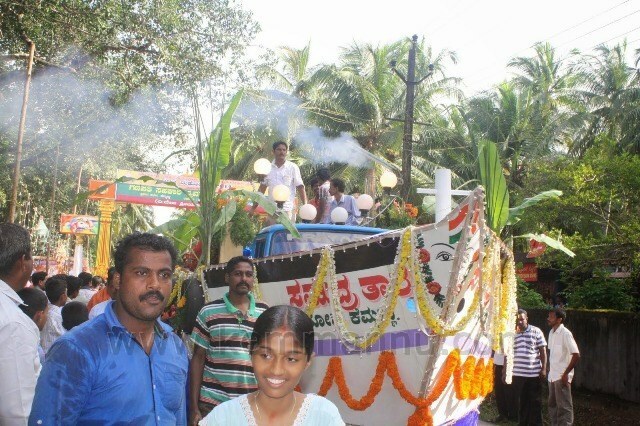 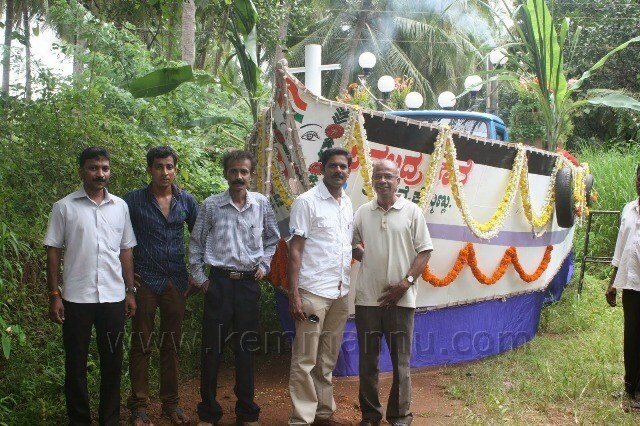 The pick of the lot was a fishing boat constructed by Mr. Arun Fernandes and his team. 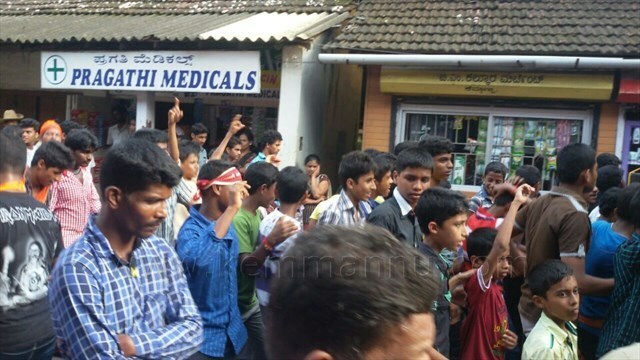 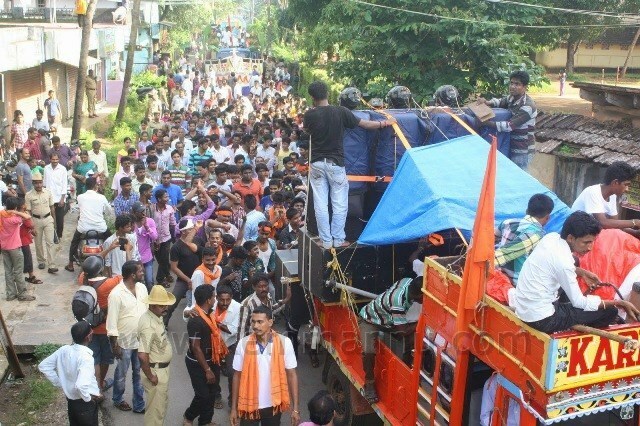 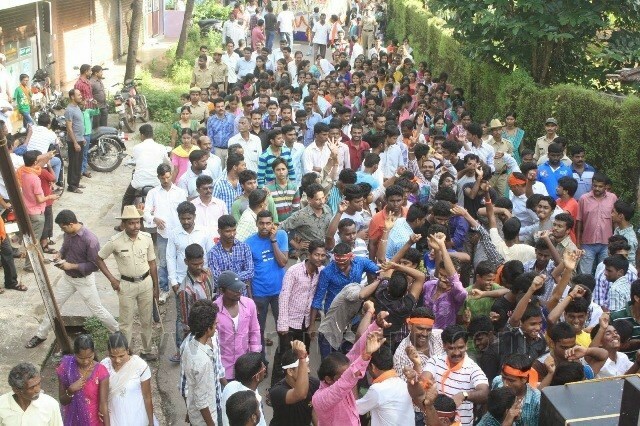 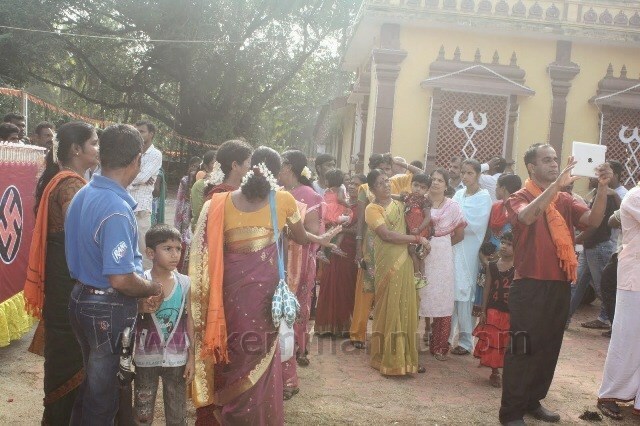 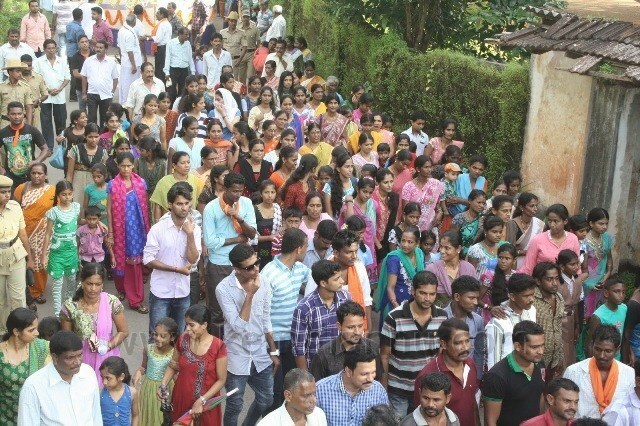 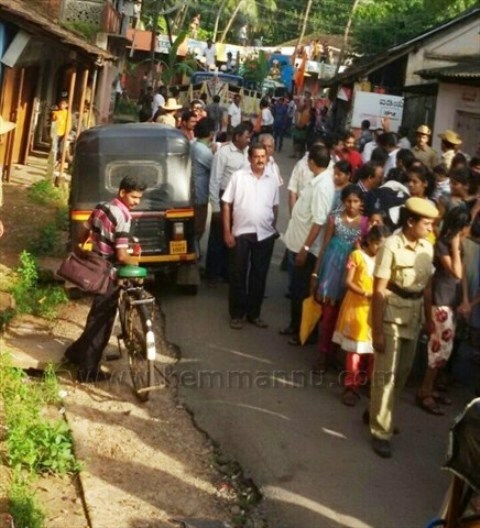 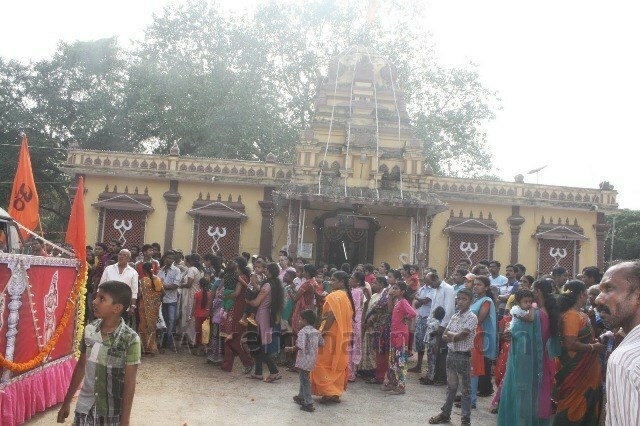 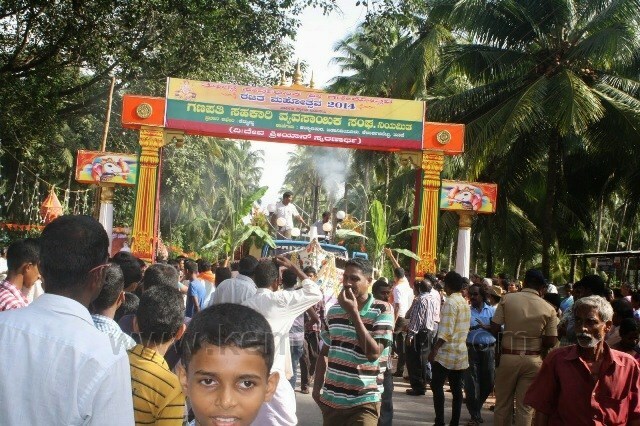 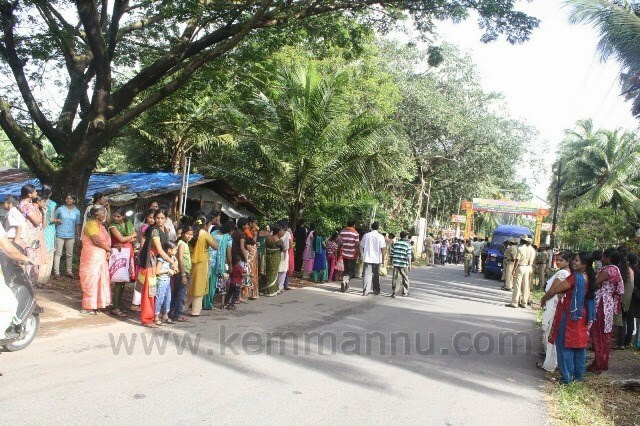 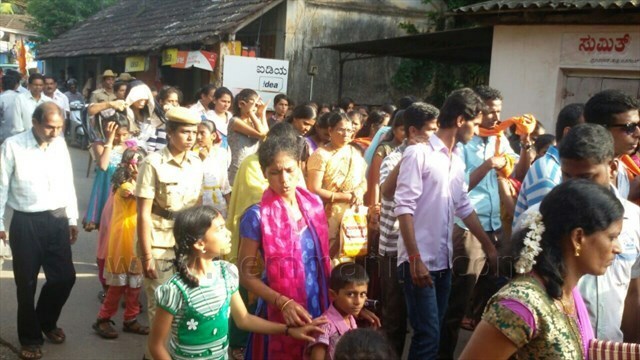 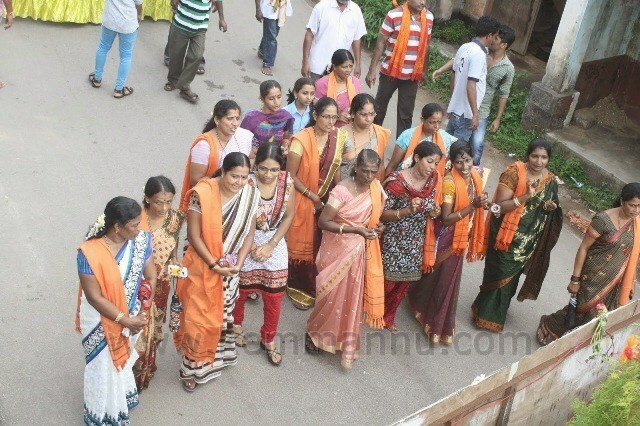 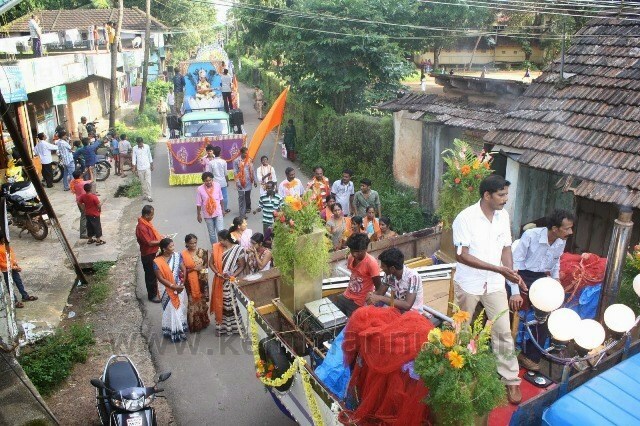 Number of women and children also participated in the procession. 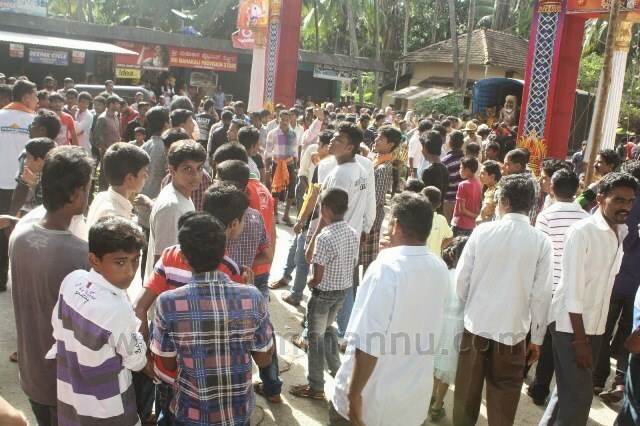 Large number of devotees visited the Ganesh idol for the last 5 days and seeked the blessing and grace of the trouble shooter God. 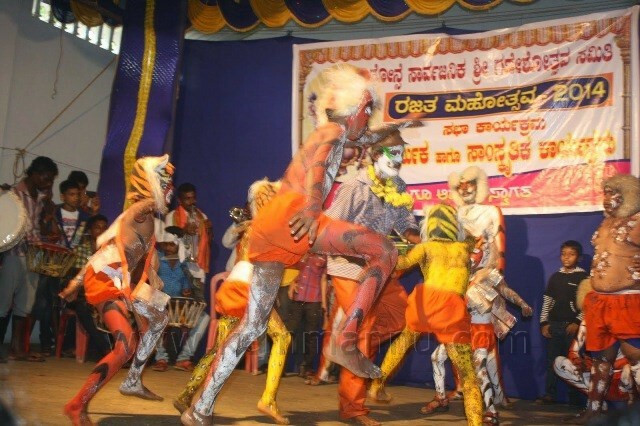 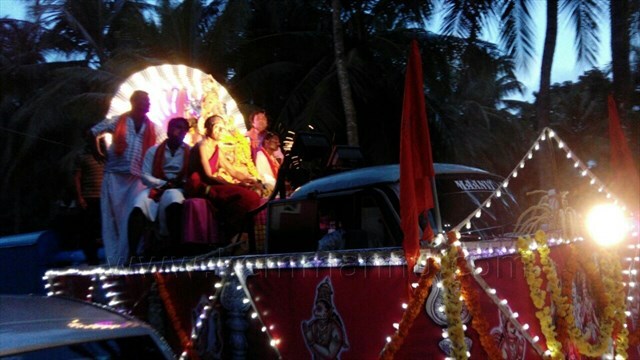 Cultural programmes were arranged in the evening in all 4 days of the festivities. 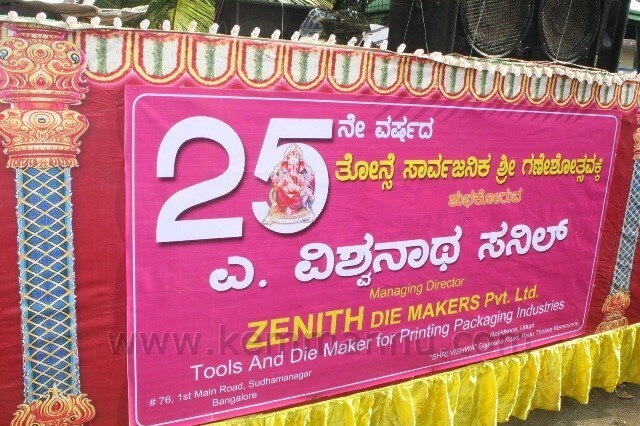 The Silver Jubilee celebrations were arranged under the president ship of Mr. Krishna Prasad Shetty.